Enter your email address to subscribe to the Tim Williams Blog and receive notifications of new posts by email. One of my new roles is as strategic advisor to the Committee for Sydney (CFS) http://www.sydney.org.au/newsite/index.php which seeks to play a similar role for Sydney that London First has played for London. We have in membership some of the most important and most strategically-minded private and public sector organisations active in the business and public life of the City. Our aim is to identify the key policies or interventions Sydney requires to maintain or improve Sydney’s global city status – and seek to have these policies adopted or interventions implemented by the key decision-makers. We early on identified planning and governance as key challenges for Sydney. CFS’s important study, Global Sydney, published in 2010, http://www.sydney.org.au/newsite/sydney_report.php benchmarked Sydney against other global cities and found that despite Sydney’s very strong performance in certain categories (liveability for example), it needed to transform its transport and governance infrastructure. A global city with 43 local councils and no metropolitan governance has challenges not faced by Singapore let alone London. By contrast Sydney has what CFS is calling a ‘decision-making deficit’. Planning is clearly at the core of modern public governance. So to have problematical governance structures inevitably leads to problematical planning delivery. This is certainly the case in Sydney though the problems afflicting the planning system here are not just an expression of the problems of governance. Planning is in difficulty here partly because planners themselves have created a system which no longer delivers the quantity or quality of development the city needs. This is why the Committee for Sydney welcomed the Moore/Dyer review of the New South Wales planning system launched last year and why it decided to make a submission. Sydney needs a planning system fit for a global city. The review will be critical in achieving what Sydney needs. Below is a copy of the executive summary of the CFS planning submission which I helped draft. The full version is available on the CFS website. Note that the CFS has now created a Planning Reform Taskforce to lead on CFS engagement with the planning review in 2012. It is chaired by the CFS deputy chair, the formidable Lucy Turnbull. If you have any views on this submission or the review, why not respond to this blog? And readers from the UK should note: you will find many of the problems are the same in your cities as in Sydney – and that may say something interesting about the shared difficulties many democracies are experiencing in persuading local electorates to support development and growth. However, Melbourne, and Brisbane have been growing twice as fast as Sydney over the last decade or so and have permitted many more homes in relation to demand. Sydney needs to learn from those cities and others – and fast. An effective and equitable planning system is vital for a strong Sydney economy, for maintaining an attractive and sustainable environment, and for promoting a vibrant and inclusive democracy. The current planning system in New South Wales cannot achieve these aims. The consensus view is that the system is broken. It cannot achieve its fundamental purpose: to reconcile, in the fairest and most efficient manner possible, competing economic, social and environmental priorities, at the national, city and local level. •	secure the development needed in this most important of Australian cities. Much of the problem is the decision-making deficit around development promoted by the multiplicity of smaller councils in metropolitan Sydney. There is a failure to take decisions which, however beneficial to the wider community and the interests of Sydney have adverse impacts for existing homeowners. Examples range from the location of ports, roads, airports, railway lines and waste disposal sites to major residential developments – all essential projects for a growing city. The planning system routinely fails to enable strategic decisions for Sydney to be taken. By contrast Vancouver and Auckland have transformed their governance structures to streamline planning and decision-making. The WA government has also initiated a radical review of governance in Perth. Tasmania is undertaking a similar review for Hobart and Southern Tasmania. Brisbane’s capacity for integrated planning and cross government and agency collaboration is enhanced by the large scale of city and local government in South Eastern Queensland. Victoria is enjoying the fruit of the consolidation of local government which was undertaken in the 1990s. In a globalised economy investors view good governance and effective decision-making on planning as essential investment criteria. Competing cities get this. Sydney must not get left behind. 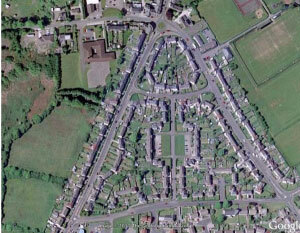 Currently, the planning system pleases no-one. Private developers find the approvals process subjective and fraught with uncertainty, delays and risk. As for the public, the planning system has become an un-transparent process for delivering unwelcome development in the eyes of some and not enough development in the eyes of others. Conflicts over land–use have been heightened when they could have been resolved earlier in the development process. The key is how we involve the public in plan-making and the subsequent all too adversarial development application process. Both need fundamental reform. Q1. What should be the underpinning objectives and philosophy of a new legislative structure? We need to enhance the role of communities in shaping the values and strategic objectives in the local plan at the earliest opportunity – something made easier by new social media – while reducing the area of discretion and subjectivity at the later DA approval process. The new planning system must place greater emphasis on delivering economic objectives and on the State or City-significant infrastructure and development projects which underpin productivity. Planners need clearer guidance on the importance of economic considerations alongside social and environmental ones. The interlocking nature of the challenges facing Sydney calls for a more integrated approach to infrastructure and land-use planning. The emerging Transport Masterplan for New South Wales is an early opportunity to promote the better integration of land use and transport planning. The current Act requires a costly and unworkable process of consultation with, and approval from, too many concurrent authorities. Queensland’s Coordinator General/whole of government approach to key development applications should be explored. Effective planning regimes provide better linkages between a State Government’s strategic plans and local plans. The current s.79C is a key part of the problem for Sydney as is the lack of statutory weight for metropolitan and regional plans. Currently, s.79C, which provides the heads of consideration for planners and consent authorities, constricts consideration to local environmental, economic and social issues. In reality priority is given to local environmental issues only. A ‘new s.79C’ must include as specific heads of consideration issues of regional or metropolitan significance such as population growth, demographic change, housing supply productivity and access to transport.There is now a big gap between such strategic planning issues and the local issues which are taken into account at the level of statutory planning. This is a major defect in the system and leads to inertia in Sydney. This situation is made worse by the fact that Sydney’s Metropolitan Plan does not have any statutory weight compared to often outdated LEPs and sits alongside many other plans relied on in the development application process. There is no clear hierarchy of plans for a consent authority to grasp onto when making decisions of metropolitan or regional significance. That hierarchy must be clarified in the new Planning Act. Regional and metropolitan plans must be statutory. A new Act should however also require that any new metropolitan or Regional Plan be based on robust research, analysis and the kind of deeper community and stakeholder engagement we advocate in this submission. The current approach to levies and developer contributions actively deters development in Sydney and adds excessive costs to those buying new homes whilst not delivering the infrastructure needed. A more transparent and proportionate approach is required. Sydney has a network of 300 rail stations, many with under-developed ‘footprints’ around them. It is sensible for much new higher density housing and economic development in Sydney to be focused at transport nodes. Q2. How should plan making be undertaken? Plan-making at city and local level is an opportunity for far deeper community engagement and civic discourse than has been the case. By ensuring participation and community endorsement of key objectives and principles at the early stage, we can create a far better platform for a more consensual, objective and successful development application process at the later stage. On the basis of greater public involvement and confidence we can then reduce the scope of local discretion over development applications when they conform to the strategy, planning controls and building codes. Q3. How should applications for proposals for development be assessed and determined? Such a transparent ‘code-based’ assessment system, and a presumption that conforming development will be approved, engenders certainty for developers, raises community trust and makes the Development Application process less adversarial. Code assessable development is the basis of the effective Queensland planning system. Under the Sustainable Planning Act 2009, codes which express the development standards which apply to land must be adopted. Development Applications are assessed for compliance against such codes. If the development complies the local government must approve the application. Such code assessable development does not require public notification. New South Wales should follow suit. Certification of development and complying development should be based on objective criteria and subjective discretion reduced. It is the balancing provision to enhanced community involvement in the plan-making stage. Every effective planning system needs to have a means of processing major projects which cannot be adequately dealt with at the local government level. The challenge is to identify appropriate thresholds which trigger a different planning approach and appropriate mechanisms. A replacement device for 3A for development of ‘more than local significance’ needs to form part of the new planning approach. An effective planning regime needs to enable development of demonstrable wider community benefit beyond what may be acceptable to a vocal minority. See also our comments above relating to deficiencies of statutory framework as provided in s.79C. Q4. What should be the availability of conciliation, mediation, neutral evaluation, review or appeal? The elements of reform we suggest around community involvement in plan-making, transparency of process, the more objective code-assessable approach, accepted procedures around 3A style development of significance and standardised levies, will go a long way to reduce the possibility of conflicts around determination. Too often the development assessment process has become the stage for policy making and the appeal body, such as the Land and Environment Court, is called upon to make decisions that should have been determined locally. Excessive time and costs are spent in achieving a less than optimum outcome. Much of this will be avoided in a planning system with the improvements we have identified. The Review is a critical opportunity to turn a new page on planning for this city. It must be grasped. Re-organizing city governance remains the next key task. We note that the strap-line for the radical review of local government in Perth is: ’Towards More Effective Metropolitan Governance’. In our analysis the full transformation of planning delivery in Sydney will come from a similar review here. South Australia is producing some great stuff on the future of public policy and on how to transform cities. It is providing a model on how a place can punch above its weight in strategic discussions of international significance while also effecting change in its own back yard . Have a look at the work being produced from the ‘Thinkers in Residence’ programme in Adelaide and by the Integrated Design Commission. My former colleague and always friend John McTernan is the current Thinker in Residence ,though as a top level advisor to Blair I thought of him as a contract killer kind of intellectual. He knew where the bodies were buried because he put them there. I’m a big fan and think that the role of violence in bringing about public change is hugely under-estimated. And yes, I’m kidding,more or less. The South Australian Integrated Design Commission is the other great initiative worth a serious look. Run by the excellent Tim Horton ,whose glass is never just half full but positively brimming over – optimism is a vital force in urban regeneration in my experience – the IDC has just come to the end of a series of meetings and workshops aimed not just at identifying the best design solutions for the future of Adelaide but how you deliver them. Experienced and long suffering readers of this blog will know that I have a short fuse on the subject of ‘design-led urban regeneration’ if that means ignoring economic realities and how ‘visions’ can be mad real, as is so often the case. I remember the overkill of fact-free masterplanning and reality-lite design guides which flowed from the Urban Task force in the UK. To be fair, the Task Force did have other recommendations other than ‘good design’ but that one thing got focussed on and a lot of paper subsequently flowed. The result? Some better designed buildings and places in towns that still didn’t have any economic rationale and remained dysfunctional. I exaggerate for effect. The IDC notion of design – to its great credit- embraces an understanding of the economic imperative and driver of change – and the need for delivery tools and vehicles to implement the vision or the design approach – whilst retaining all the planning,design and architecural excellence you’d expect in an organisation so named. Find out about them. Why the title? Oh, Mr Horton forgot to tell me that the genuinely great – though not always right or applicable in all circumstances- Nordic planning guru Jan Gehl was in the audience when I spoke at an IDC event today. When asked about Comrade Gehl I said ‘I think Jan Gehl is great but in thiscontext I think he’s a miniaturist when what we need is the big picture’. I meant that urban regeneration requires an answer to the question ‘what is the place for and on what economically will it live?’ and that the Gehl approach does not answer that question. It addresses itself to a level of detail below that big picture. But I probably came across as sneering at genius. And then the chair says:’and Jan Gehl, would you like to respond?’! I burbled my appreciation of his ability and then sulked for half an hour…. I still think I’m right of course but civility is always a virtue.It was kind of funny – and at my expense of course , which I’m sure regular readers and indeed friends will appreciate. I’ll get my coat…. Every year at around this time it has become a tradition for the Williams family and the local Community Council in Llantrisant ,Wales, to honour my late father’s musical career through the Ifor Williams Awards . These are like a Valleys version of the X Factor but for young people with actual musical ability. This is based on a piece I wrote for English Heritage before I left the UK at the end of 2010. It still has resonance , in the UK and Australia I think where housing design and location challenges are also considerable. I draw attention to the bits in brackets pointing out the failings of CLG then and now – and how the same people responsible for messing up then have messed up over planning today . Does no-one senior get whacked for failure in that place? Australia is beginning to feel the heat from the resources boom. Jobs are now being lost in the export-led manufacturing economy because ,driven ever upwards by the demand for and speculation around, its coal,iron copper,gold ,gas , uranium ,you name it , the dollar exchange rate has reached dizzy levels. It’s now at 1.05 to the US dollar when the historic average is just over 70 cents , and 1.55 to sterling when less than 3 years ago it was at 2.50 to the pound. This is a seismic shift in a short period. If only federal government economic policy had moved as quickly – and in the right direction. Two cheers for Tony Blair,come to think of it,possibly one and a half …. I haven’t said this in recent years and possibly ever:two cheers for Tony Blair.Come to think of it, possibly one and a half.His comments on the recent riots made some sense to me but were also typically self serving. Essentially, he thinks that blaming the riots on a general moral malaise is wrong and indeed leads to bad policy. Rather he blames a minority of disaffected youth who live lives ‘outside the social mainstream’. The best policy therefore is to target that minority with policy interventions – running from better policing through to welfare penalties on the harder side and parenting lessons on the softer side. 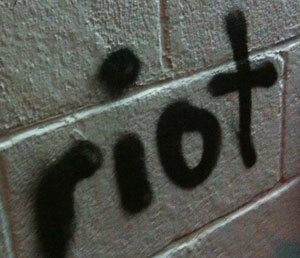 It took a Riot. This was the name of possibly the best-entitled cabinet paper ever submitted to a government. It was drawn up by Michael Heseltine after the Toxteth and Brixton riots of the early 80s. It advocated not a policing response to an earlier version of the breakdown of law and order in UK cities but a political and economic response.